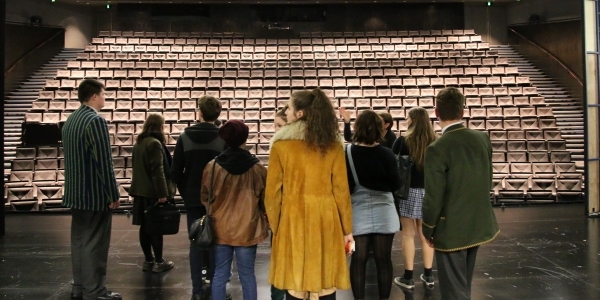 Every year, fifteen Year 11 theatre-lovers are selected as MTC Ambassadors, joining the Company for an unforgettable year of theatre experiences. Last year’s MTC Ambassadors met a wide variety of industry professionals throughout 2017, and saw several MTC productions. We look back on their year with MTC. 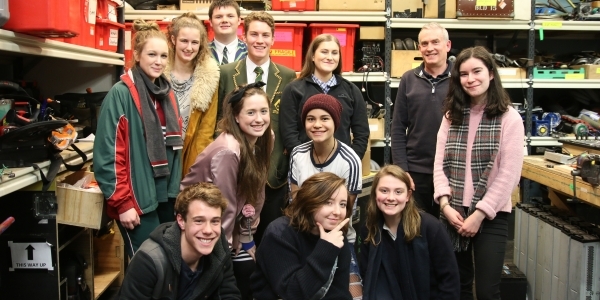 At their first meeting in May 2017, the MTC Ambassadors met each other for the first time and had a sneak peek into the wardrobe and props departments at HQ. They also shared a meal with the donors who make the MTC Ambassadors program possible, before seeing Melbourne Talam by Rashma N. Kalsie at Southbank Theatre. 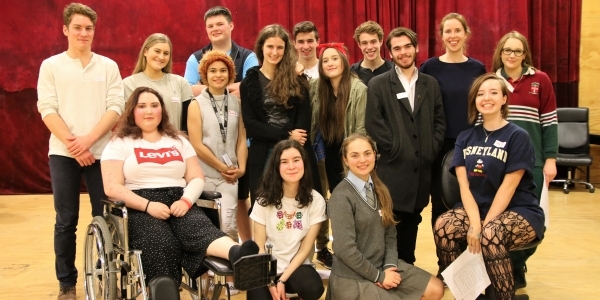 Jasmine described the play as ‘a culturally diverse production with themes that moved my heart in such a way that I was crying by the end of it’. It was here at the first meeting that I knew I belonged somewhere, that I felt a part of a second family with people who all hold the same passion and love for theatre that I do. My favourite play! Everything in this show just worked, with the perfect amount of dark humour and stupid laughs. Lally Katz deserves high praise for her incredible writing. Alyson Brown with the MTC Ambassadors. Esther Marie Hayes with the MTC Ambassadors. 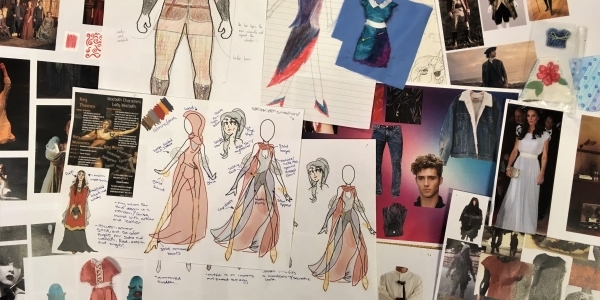 The MTC Ambassadors’ costume design concepts for Macbeth. The Macbeth cast with the MTC Ambassadors. The following month, the Ambassadors met with Michele Preshaw, MTC Senior Production Manager, to learn about the production timeline including design, manufacture, rehearsal, bump-in and bump-out. After dinner, the Ambassadors laughed themselves silly at Noises Off by Michael Frayn. Walking to the theatre is always a good opportunity to get to know your fellow Ambassadors and share stories of school theatre. There is a great sense of comradery between us as we all understand each other’s passions. 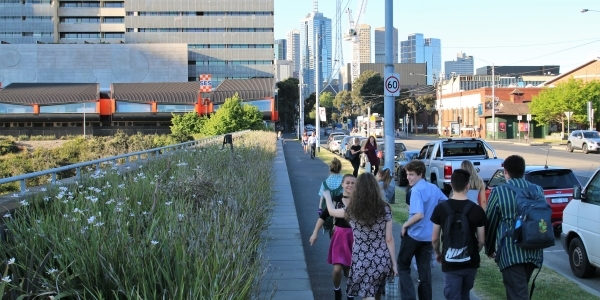 The MTC Ambassadors walking to Southbank Theatre. Di and Viv and Rose really resonated with the group and led to interesting conversation both about the context of the story and the technical equipment involved. Kerry Saxby with the MTC Ambassadors. The MTC Ambassadors on the Sumner stage. 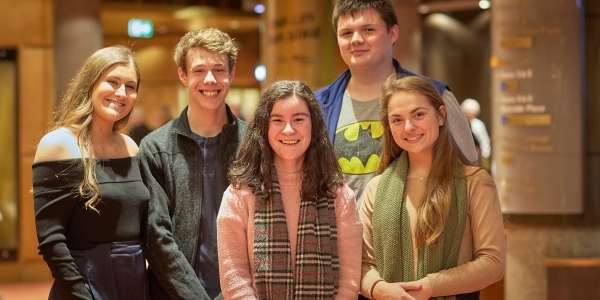 Later in August, the Ambassadors were invited to the MTC Season 2018 Launch at Hamer Hall. They were among the first to hear about the productions in Season 2018, directly from the artists involved. There was an exciting buzz in the foyer about the shows the group might see together in the future. Some of the MTC Ambassadors at the Season 2018 Launch. Photo by Benjamin Healley. While the prospect of applying our own directorial decisions to a professional script in front of its director was initially frightening, everyone relished the opportunity to showcase their ability and work collaboratively. The room quickly became a cacophony of voices and awkward motifs, which I’m sure greatly amused Prue, who volleyed ideas and questions, greatly supporting our creative processes. Brett Sheehy with the MTC Ambassadors. 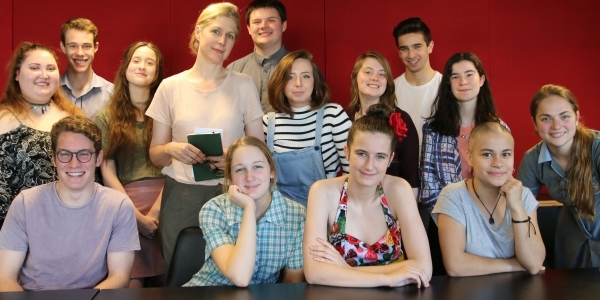 MTC Ambassadors Cooper and Hex performing in a directing masterclass. Prue Clark with the MTC Ambassadors. 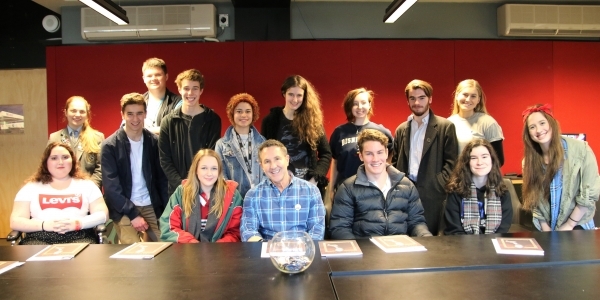 In October, the Ambassadors reunited with the donors of the Youth Ambassador Giving Circle to meet playwright Eddie Perfect. ‘It’s rare that you’ll meet such an accomplished writer, performer, composer and comedian,’ said Harry. 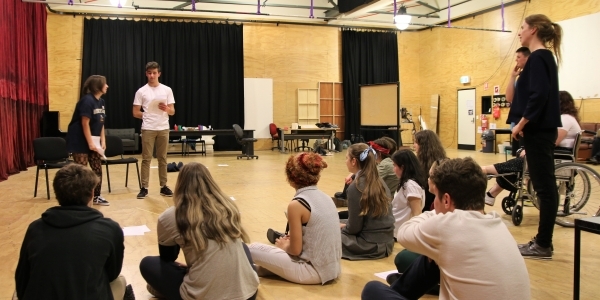 ‘As an aspiring performer and creator, learning from Eddie was inspiring and encouraging.’ Eddie shared some insights into his inspiration for writing Vivid White, and spoke about his journey to being a playwright. The Ambassadors later saw Noël Coward’s Hay Fever at Southbank Theatre. 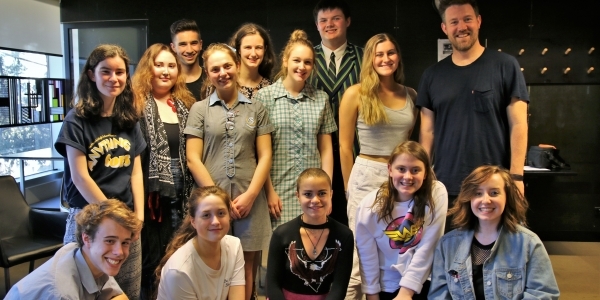 Eddie Perfect with the MTC Ambassadors. 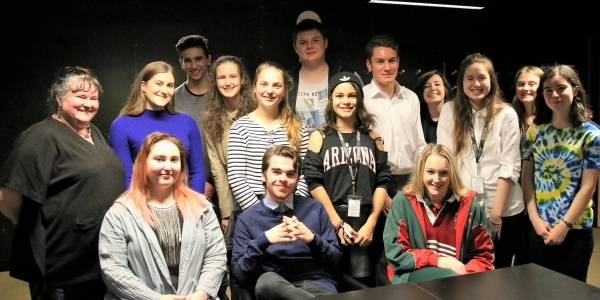 At their next meeting, the Ambassadors met with MTC Associate Director Sarah Goodes to learn about her role at the Company, and her approach to directing theatre. 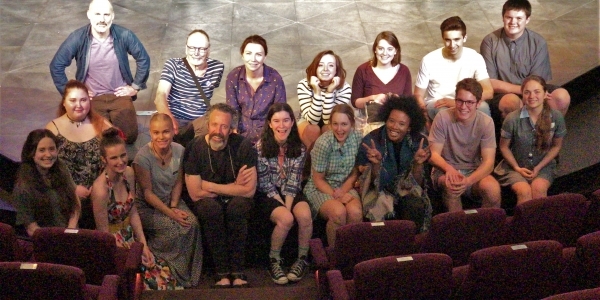 After seeing The Father by Florian Zeller, translated by Christopher Hampton, the Ambassadors had the opportunity to meet the cast on the set. Sarah Goodes with the MTC Ambassadors. The Father cast with the MTC Ambassadors. 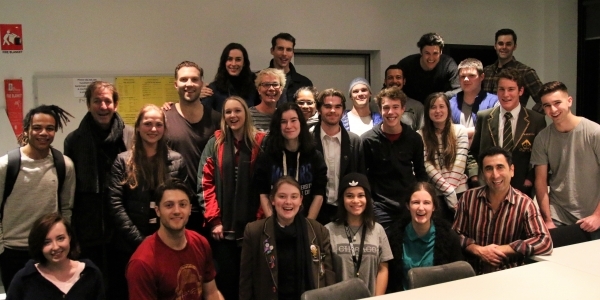 Before seeing Vivid White by Eddie Perfect, the Ambassadors met with the production’s director Dean Bryant. 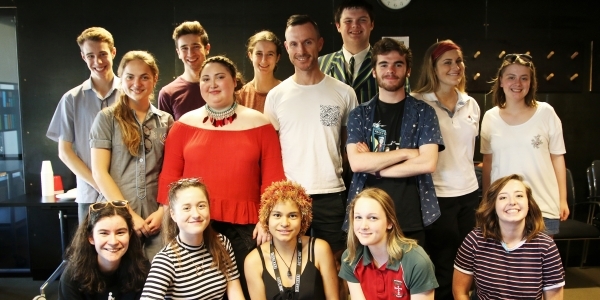 Dean spoke about his role as an Associate Director for the Company, as well as sharing some insights into the rehearsal process for the apocalyptic satire with songs. 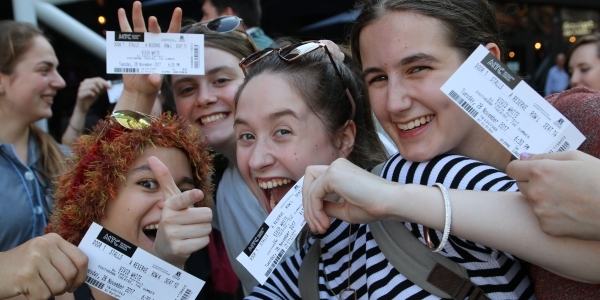 ‘I had some reservations about how interesting a plot based on the Melbourne property market could be,’ said Hex, ‘but after viewing the performance, you would have never seen a seventeen-year-old as enamoured with the subject as I was.’ A highlight of the production was the giant inflatable squid puppet that burst onto stage in the play’s climactic final moments. I believe that the inclusion of puppetry in Vivid White was the best stylistic decision that was made, as it created comedy, satire, abstract undertones and engagement, all the elements that made the show so entertaining. Dean Bryant with the MTC Ambassadors. Some of the MTC Ambassadors at Southbank Theatre. The year ended with a farewell celebration at MTC HQ with teachers, family and donors also in attendance. 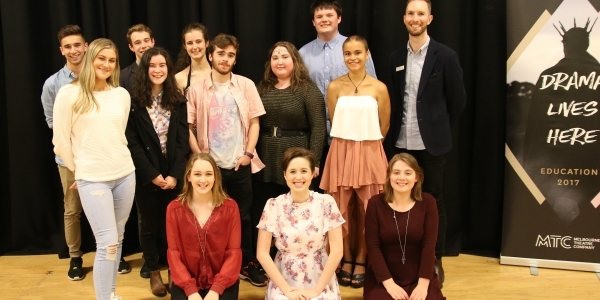 The Ambassadors reflected on their year at MTC and shared stories about favourite productions, unexpected insights, and hopes for the future. The future is bright for these young theatre practitioners, and we look forward to seeing what is in store for their creative careers! 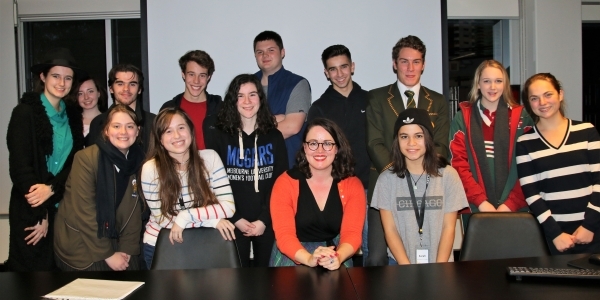 The MTC Ambassadors at their farewell celebration: (standing, from left) Cooper, Angie, Harry, Isabelle, Abigail, Harrison, Olivia, Nicholas, Sarah, and MTC Education Coordinator Nick Tranter; (seated) Jasmine, Alex, and Mia. MTC Ambassadors is kindly supported by the Youth Ambassador Giving Circle. Nominations for the 2018 program are now open! To learn more about MTC Ambassadors, click here.